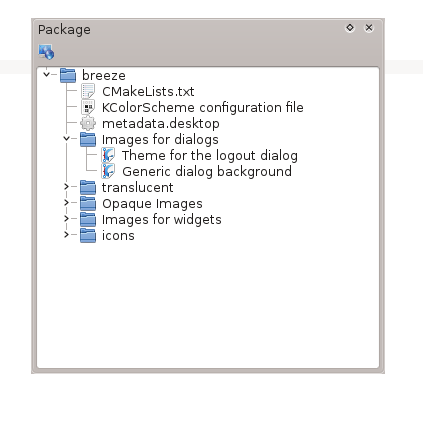 order to discuss about the development process in KDE. 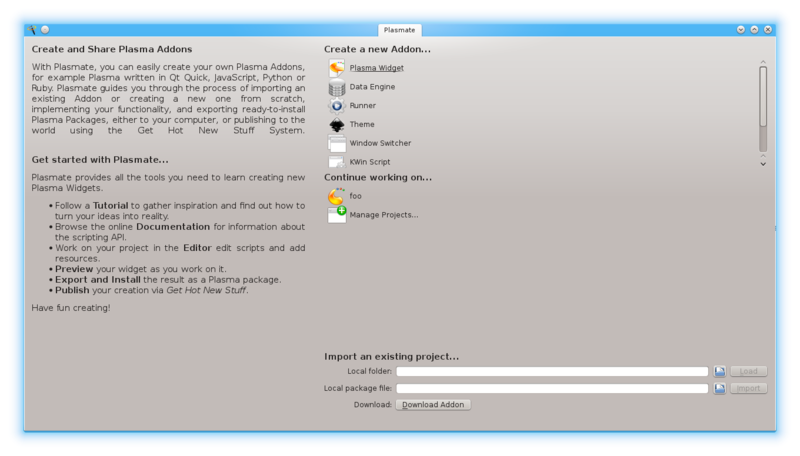 Last year in Randa the Platform 11 sprint happen, from which crucial decisions were taken about KDE frameworks. This is the first time that I will attend in the Randa meetings and I am very exciting about it. 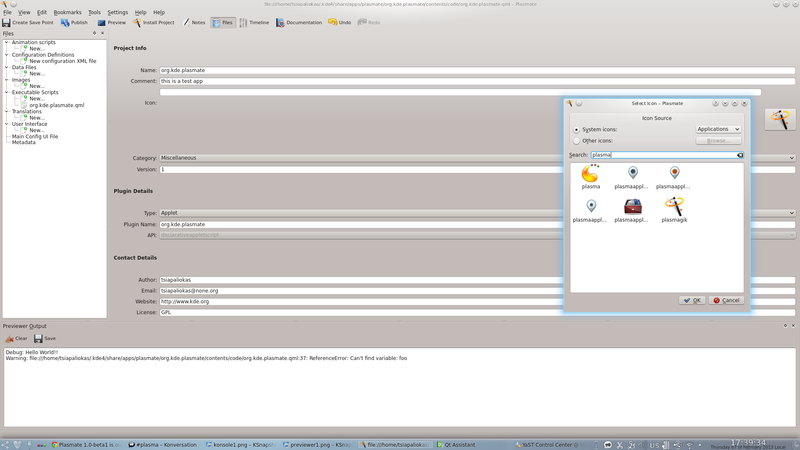 This is my second report for my GSoC 2012 project. 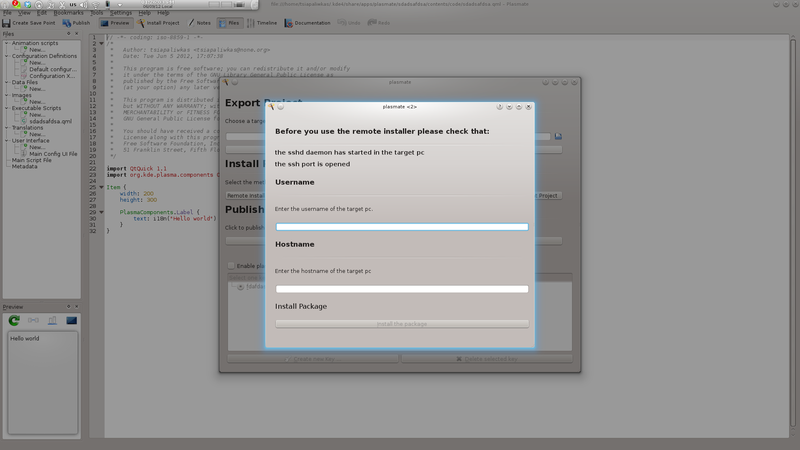 This week and the next two coming weeks my task is to implement a remote installer. 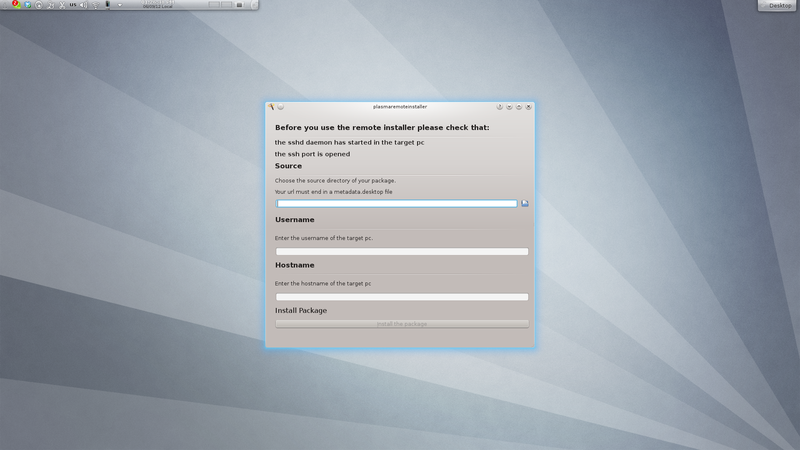 Except from adding the feature into plasmate we also decided to make the remote installer a standalone application. 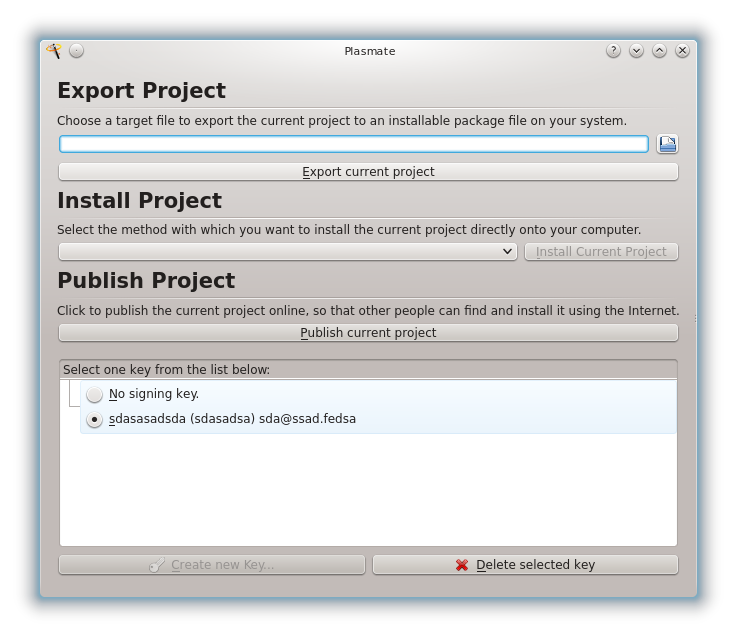 So far I have implemented the remote installer both as a standalone application and as a plasmate plugin, but the logic code doesn’t work properly yet. 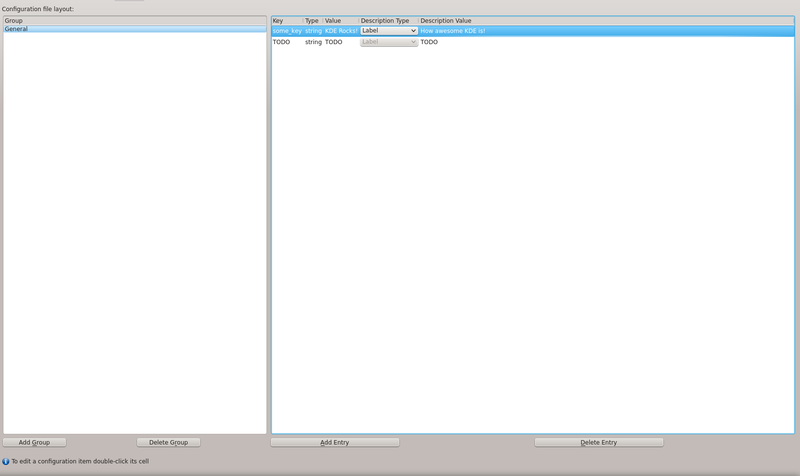 I don’t really like the ui, so I will try to come up with something nicer 🙂 and of course to fix the logic code which doesn’t work properly. 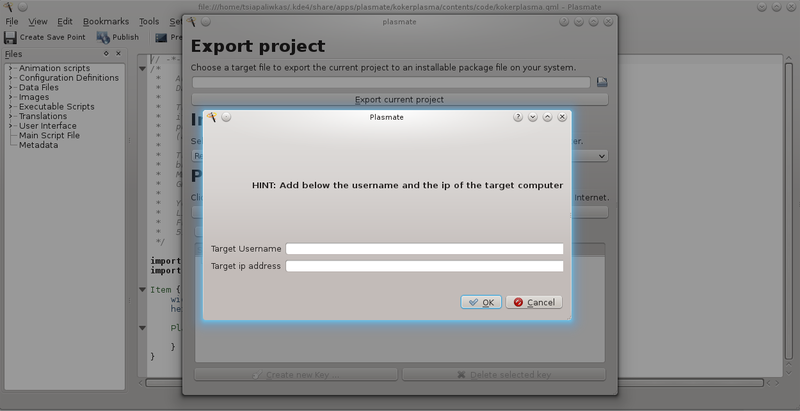 Also, this week I had to integrate the remote installer inside plasmate’s Publish dialog, so I fixed some bugs that Publisher had. 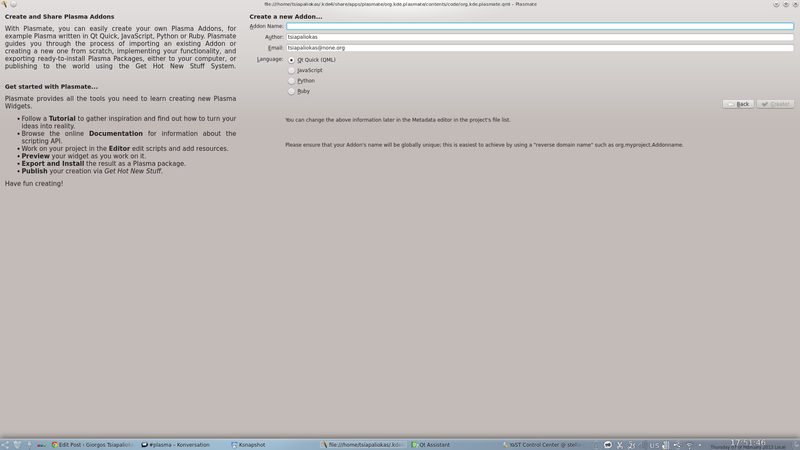 This year I have been accepted us a GSoC student and my mentor is Sebastian Kügler. 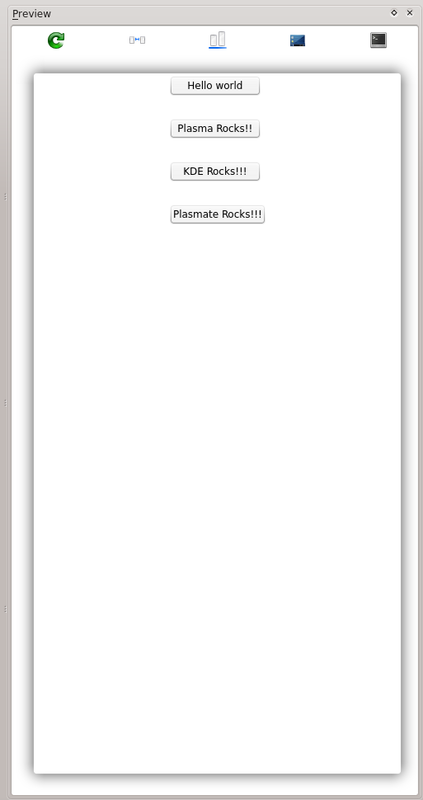 My project is to make plasmate ready for release. 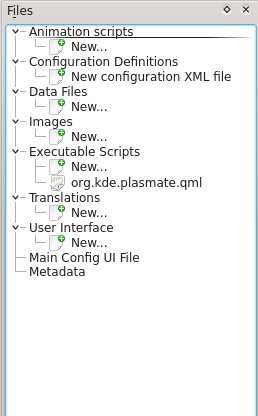 This week my task was to populate plasmate with actions and editing options. 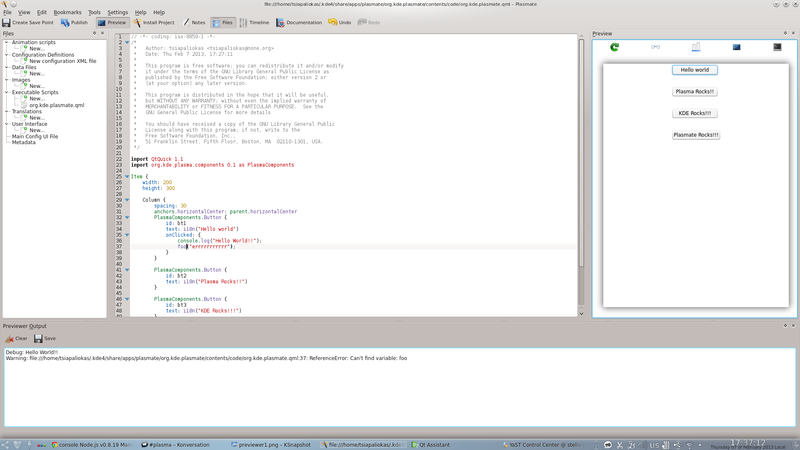 Until now plasmate didn’t offer any of the usual actions like undo, redo also the user wasn’t able to modify plasmate’s editing options like indentation. 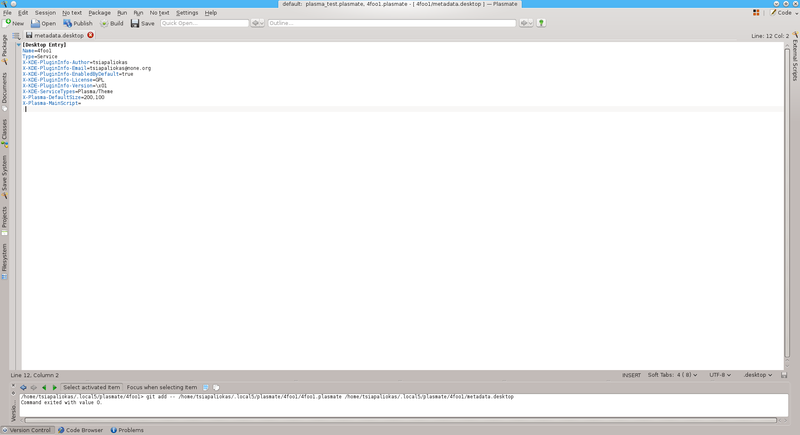 Also I have prepared a screencast in which you can see how plasmate was before and how it now.